Peter Byrnes, one of Byrnes & Keller’s founding partners, passed away in June 2007. He was an accomplished trial lawyer with a national reputation who had become a sage advisor to his many law firm and business clients. He is fondly remembered. Peter joined the firm of Bogle & Gates in 1962, where he was a partner until 1984, when he left to form Byrnes & Keller. 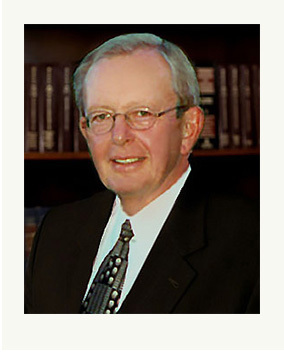 He tried scores of cases, primarily to juries, over a period of more than 40 years. His trial experience included antitrust, securities, legal malpractice, white-collar crime, intellectual property, and personal injury cases. Peter was a Fellow of the American College of Trial Lawyers and a Fellow of the International Society of Barristers, serving as first vice president of the latter at the time of his death. He served a four-year term as a member of the Council of the Antitrust Section of the ABA. Peter was also an Associate of the American Board of Trial Advocates, was listed in Best Lawyers in America each year since its first publication, and was repeatedly listed in various publications as Seattle’s leading commercial litigator.